With a good education behind them, most people would agree that young people are better placed to find well-paid work, and a college education certainly adds value to any résumé. A good education is not something that can be achieved on the cheap, and most parents find it is a big help if they have made plans to save in good time, so that they have accumulated a decent fund by the time their child is ready for university or college. Ways to save include, setting up a trust fund that will pay for college education. This attracts interest and normally matures at the point where a child reaches the age of majority. Some grandparents like to contribute to college funds and this can make a significant difference to the total saved. Certain investment firms and banks can often help with managing funds in such a way as to maximize their profitability. Certificates of deposit and accounts with the best available interest rates are also useful savings mechanisms. For example, saving even a little bit on a regular basis will soon build into a respectable sum that will make a lot of difference to the amount that parents may need to borrow. There are a number of different types of college loans available, for example Discover Student Loans, and grants and scholarships can also help. Young people are not always aware of how much education costs, which is a shame as they can learn a valuable lesson if they appreciate the extent of the expenditure necessary to see them through college. Once kids appreciate how much it takes to pay for tuition, room and board in public or private universities and colleges, it can make them fully realize the value of saving money. It may also cause them to be more responsible about finding suitable part-time work so they can make a contribution. It will also help to make them more aware of how they are spending money whilst at college: that is a valuable message that parents should aim to communicate clearly. It’s certainly a myth that students shouldn’t do anything other than college work, or that it’s unreasonable to expect them to contribute anything at all in terms of finance for college. In many ways having an outside job can improve a student’s focus on academic work and it can certainly help them to appreciate the value of the education they are receiving. Another false notion among some parents is that the better the school attended, the more opportunities will be opened up to their offspring after graduation. It is as if the colleges with the most expensive fees are going to automatically ‘open doors’. In fact, it’s the personality and drive of the individual that will make the difference to taking real advantage of employment opportunities, whether the student has attended a fancy private college or a state university. 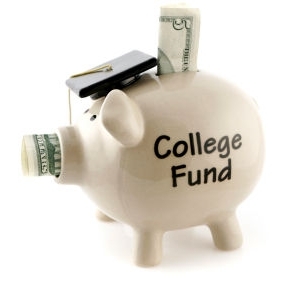 All in all, parents who make sensible provision for a college fund at an early stage will find this pays welcome and important dividends for prospective college or university students.